thinking should i go to school or better take a rest..
and it was about 20 minutes more to 10am *extra lesson started*..! dunno what should i do with my hair..
look bad and i decided to tie my hair.. BUT..! my bangs... looks really horrible.. -.-"
everything looks like walking around me...! the damn thing i said is, my hair iron wasnt working..! 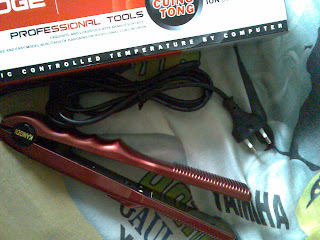 i cant live without a hair iron..! -.-"